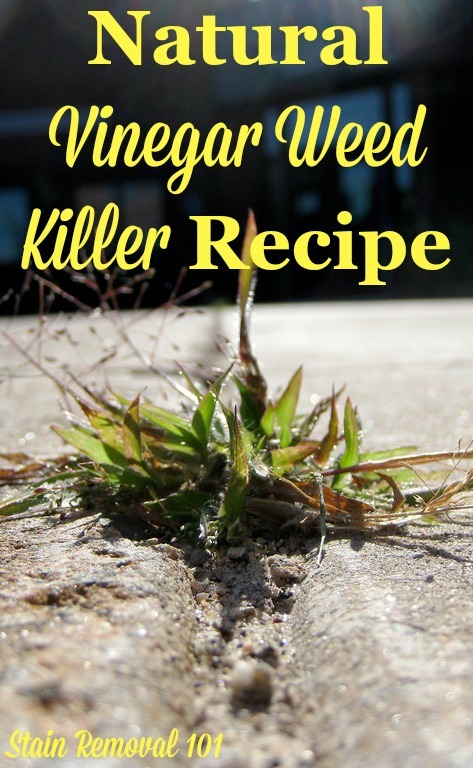 Try this recipe for vinegar weed killer if you are looking for a natural product to kill unwanted plants, weeds and grass. This recipe is actually very simple, because it only contains one ingredient -- white or apple cider vinegar. You can use either variety, at full strength, to kill weeds and unwanted grass around the edges of your driveway or in cracks in the sidewalk. 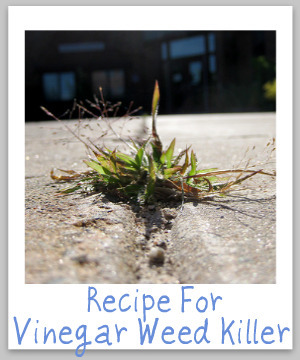 Please note that this recipe does actually kill grass, which is why I suggest it only be used for isolated weeds, not for weeds found in your lawn. The weeds are most susceptible to vinegar as a natural weed killer early in the growing season, before they get too established. Spray the plant with the vinegar around the midsection, or into the flower itself. 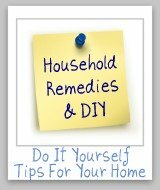 If it rains soon after treatment you will need to reapply the vinegar again. 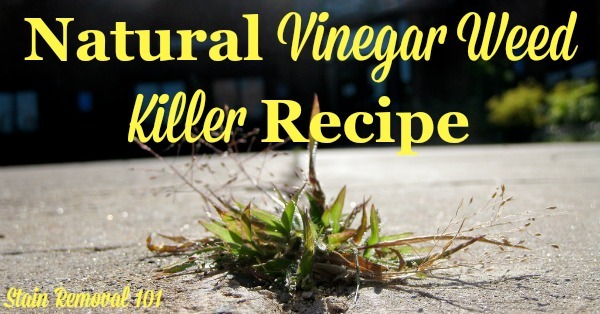 Here is a video on using vinegar as a natural weed killer that you might find helpful. 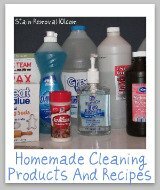 Do you know even more ways to get rid of weeds with homemade products? 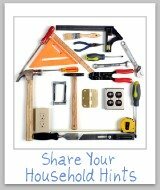 If so, share your recipes and tips here. 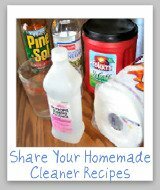 In addition, you can see even more recipes from me for homemade weed killer.